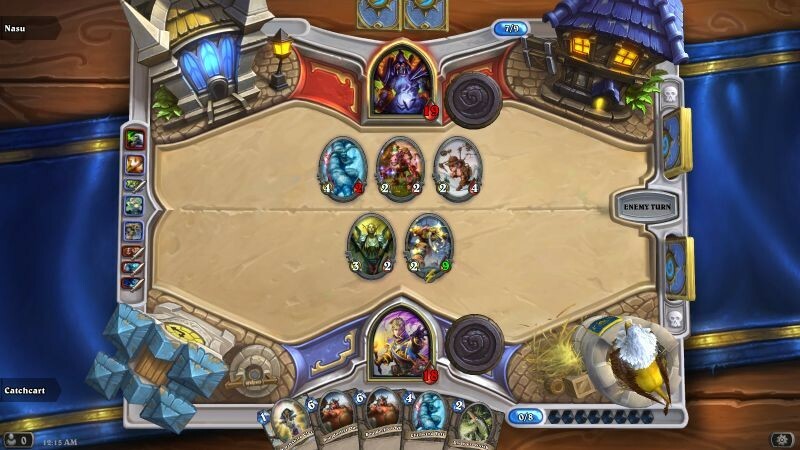 I’ve just finished a match in Hearthstone. I played using someone else’s deck and someone else’s tactics but that’s another matter (though if you are going to netdeck, the basic decks and strategies from Icy Veins are really well thought out and even better explained). The point is that I played against another human being and it wasn’t a big deal. And why should it be? Thousands of people can say the same any second of the day. The reason I’m making a fuss is that before Hearthstone the only game I had any serious PvP experience in was WordFeud and that’s so unthreatening that my mother plays it. You see, PvP as a concept is incredibly intimidating to me and I don’t think I’m the only one.